Diss tracks are somewhat the backbone of Hip-Hop with lots of rappers and artists looking to test out their raw talent to openly offend their opponent. Sometimes it could get messy and personal and not so fun if you’re on the losing side. The best diss tracks are made by rappers who would say just about anything to get to their rivals. This particular diss track came in the form of a music video which was uploaded on youtube some time ago with a clearly stated title “Gang Gang (Meek Mill Diss),” although, the content of the song itself isn’t directed to Meek Mill and could be perceived as a regular rap song. 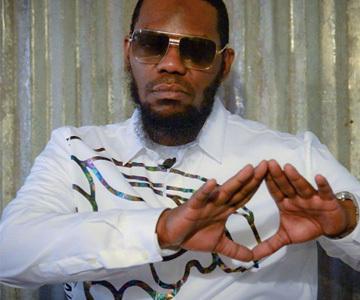 The bad blood between these two began after Sigel – Originally on Meek Mill’s side during his most acclaimed beef with the Game – hinted that he had a hand in writing Mill’s lyrics for his Game diss. This led to a member of Meek’s crew allegedly attacking Sigel backstage at the Bad Boy Reunion concert. Fueled by the attack, Sigel dropped his support for Meek and released his very own diss tracks. Sigel also continued to say he wrote Meek’s lyrics, telling the Breakfast Club on Tuesday that he wrote some of Meek and rapper Omelly’s lyrics for the Game diss. “We seen you at the console and people assume that you were helping Meek Mill and Omelly write raps. Did you ghostwrite any of the lyrics?” asked Breakfast Club host DJ Envy. Sigel confirmed that he wrote a few of the lyrics for both Meek Mill and Omelly.